Will it work this time around? The FIFA 66th Congress, held in May 2016 in Mexico City, was presided over by the new FIFA President, Gianni Infantino, who had vowed to solve the Palestine-Israel football dispute. Mr. Infantino was either misinformed, or overconfident, because the year, in which a solution was supposed to be reached, was spent by Sexwale in trying to deal with the clever Israeli procrastination tactics that he was hardly able set the framework for the work of the committee in a way that would enable it to address the 3 main points in the Palestinian amendment of their original suspension proposal. Sexwale produced a report on the Monitoring Committee’s work. The report was optimistic in saying that there was a "minor progress" in the movement issue, but there was still much more work to be done on the settlement clubs issue. It was the diplomatic way to report that the Israel Football Association (IFA) wanted the issue out of the agenda. 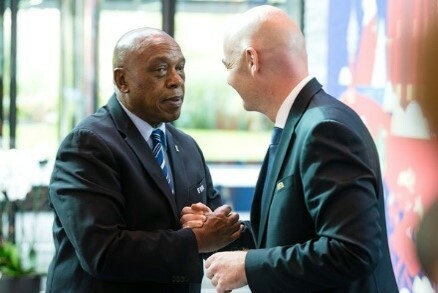 Both FIFA’s new President Gianni Infantino and Tokyo Sexwale declared their sesolve to to solve the settlement clubs issue, before the FIFA Council meeting on 13-14 October 2016. 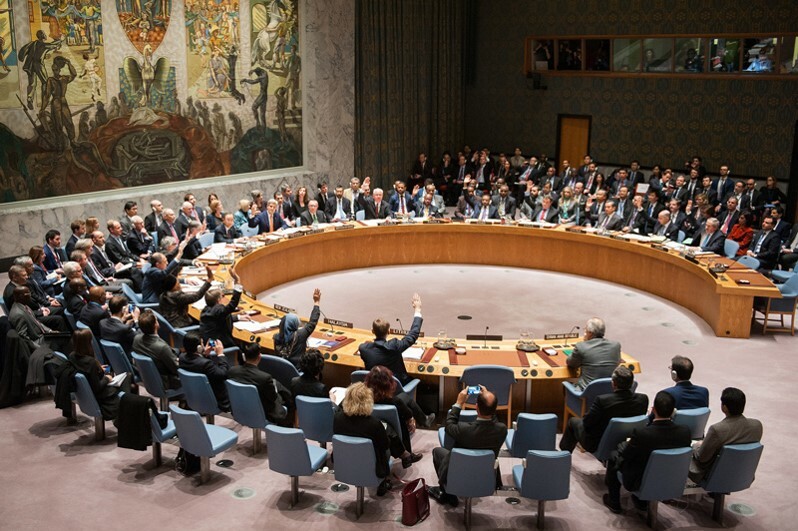 The Special Adviser to the United Nations Secretary General on Sports for Development and Peace said that “The United Nations Security Council has determined that Israeli settlements in occupied territory have no legal validity, as they are in breach of international law…I therefore urge a resolution of any disputes in line with the United Nations Security Council Resolutions and FIFA Statutes within a reasonable timeframe. 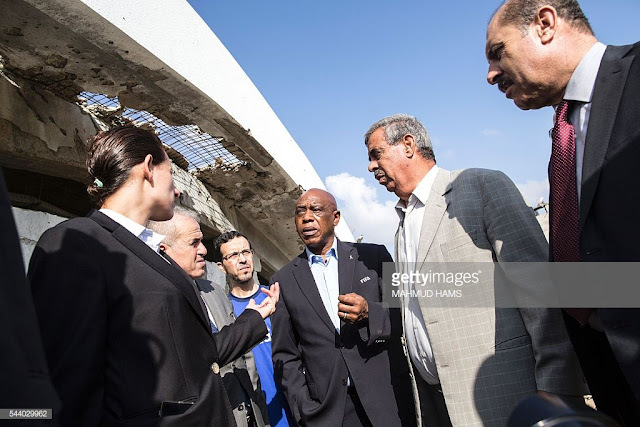 Mr. Sexwale visited Palestine and Israel on the 1st of July, 2016. The chairman of the Monitoring Committee himself was unnecessarily detained for about 40 minutes on the Erez checkpoint (between Gaza and the West Bank) as he made his way out of Gaza. As a result, he was 30- minutes late for his meeting with the Israeli minister of Sports, who refused to see him because of the delay! Later on the same day, as he was trying to cross from Israel to Palestine for a meeting with H.E. 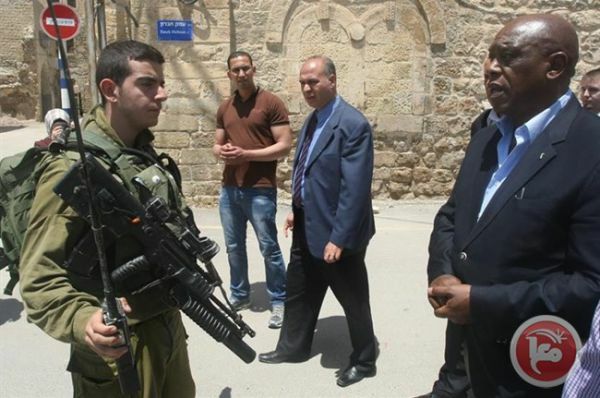 the Palestinian President Mahmoud Abbass, scheduled at 22h00, Mr. Sexwale was deferred from 2 checkpoints, and crossed the third one almost by a miracle. The Palestinian President met him, nonetheless, despite being 2 hours late. In spite of Sexwale’s efforts to hold a meeting of the Monitoring Committee in September ahead of the Council, this did not happen because the IFA said they were not available to meet. The FIFA Council met on the 14th of October 2016. The FIFA Monitoring Committee’s report was tabled under ‘Any other matters” in the agenda of the meeting, and neither a decision, nor a report by sexwale were made. Sexwale admitted that he was “already playing in the extra time” but asked for more time nonetheless. Thus a decision was postponed to the next Council meeting on 9-10 January 2017.
International community, several UN resolutions and the international Court of Justice (2004) determined that the territories in question are Palestinian. a "Crimea solution”* could be accepted. 5 clubs are located in “Area C", under full political and military control of Israel until the final and permanent agreement between both parties is negotiated. “the UN resolutions do not support the claim made by the PFA regarding the territories in question”. In relation to his letter, Wilfred Lemke, The Special Adviser to the United Nations Secretary-General on Sport for Development and Peace, does not have enough authority to give an opinion on the matter. If Lemke’s letter did not possess “enough authority”, UN Resolution 2334 on the 23rd of December 2016 gave everyone the answer they have been waiting for on Israel’s settlement policy, stating beyond any doubt that it “constitutes a flagrant violation of international law“. It clearly defines Palestinian territories as the territories occupied by Israel after the 1967 war, including east Jerusalem, and states that all measures including construction and expansion of settlements, transfer of Israeli settlers, confiscation of land, demolition of homes and displacement of Palestinian civilians in said territories are in violation of international humanitarian law, Israel's obligation as the occupying Power according to the Fourth Geneva Convention, and previous resolutions. The FIFA Monitoring Committee failed to meet again before the Council’s meeting in on 9 January, 2017, again due to Israeli delays and postponement. 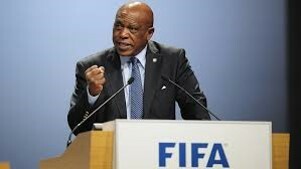 The FIFA Council met on the 9th of January, 2017, and Sexwale presented his report, but no decision was taken. He asked -yet again - for more time, and the council gave the Monitoring Committee a month to meet and present a final report. FIFA President Infantino made a statement to the Press disclosing that he expected a final report within one month. The Committee did not meet in a month. Sexwale proposed the next (and supposedly final meeting) of the FIFA Monitoring committee for late February, or early March. Yet, the IFA said these dates were not suitable and pushed the meeting to the 22nd of March, 2017. Maintenance of the current Status Quo, which he warned will put FIFA in opposition to international legitimacy. FIFA warns IFA with a “yellow card” to rectify the issue by desisting from administering football in Palestinian territories. On 10 Feb, 2016, The Palestine National Team, traveling to Algiers for a friendly match, was detained for about two hours on the Al-Karamah/Allenby border without any explanation. The incident was reported to the FIFA Monitoring Committeee and the IFA, who confirmed the detainment, added it happened for "Security reasons".It maybe worth mentioning that delays of Palestinian Teams and Palestine FA personnel have become more common recently. The writer of this blog was detained on her way back from Jordan a few days before this incident, on 7 Feb. After one hour of waiting, she was led to the security office on Allenby, thoroughly searched, and then "interviewed" by an intelligence officer before being allowed to go on her way. It also happened to Raed Amro, one of the Palestine FA media officers, who was interrogated in the same manner by an intelligence officer. On Feb 23, 2016, a Palestine FA delegation was passing through the Al-Karamah/Allenby border to travel to Queen Alia Airport, and from there to Zurich for the FIFA Congress and election's. The PFA President, General Rajoub, was accompanied by his assistant, Ihsan Mikdadi. One of the female employees, on the tax desk on the border, accused Ihsan of giving her fake currency (200 NIS) and detained him. Ihsan said he was sure he did not, because he had just withdrawn the money from the bank, so it could not be fake. He asked her to check the cameras in the booth, but she claimed she could not operate them. The police came and said the same, but the lady said she was not sure if it was recorded. The writer of this blog, who was a few meters away when it happened, could see that the cameras were well placed in an angle and in a way that enables them to record the transaction. the incident was reported to the FIFA monitoring committee. The IFA re-told the tax office lady's story, apparently as told to them. Ihsan was detained for 3 hours and then released. Had the detainment taken much longer, the delegation could have missed their flight. Until this report was written, in April, no further charges were forwarded against Ihsan. On 3 March, 2016, footballer Fadi Shareef, born 8/1/1997, and a player in the Hilal club in Gaza, was arrested at the Beit Hanoun checkpoint as he was returning from Al-Maqasid hospital in Jerusalem, having undergone an operation in his knee. Until this report was written, nothing is known about any charges. On 5 March, 2016 around 1:30 a.m, player Sami Daour, 27 years old, and holder of ID# 801158361 was arrested by an Israeli Army Force from his residence in the city of Hebron. Sami, who plays for Al-Samou' club, is a resident of Gaza, and has been residing in Hebron with a valid permit ending on 7 March, 2016. He was interrogated for one week under the accusation of aiding in a "terrorist activity in Jerusalem". He was found to be innocent of any connections to said activity, but, since his permit had expired, he was deported to Gaza, and his club failed to renew his permit. On 28 April, 2016 around 12:30 p.m, a temporary Israeli Army post on a building behind the “separation wall”, opposite the PFA headquarters, threw a few gaz canisters in the vicinity of the PFA that caused the employees who were there and inhaled that gaz to get sick. On 24 May, 2016, around 17h00, an Israeli Border guard Force broke into Faisal Al-Husaini stadium, and the Head Quarters of the Palestine Football Association, located in Al-Ram. The soldiers interrogated the evening shift employees and security, and roamed the HQ and stadium facilities under the pretext of looking for "stone throwers". The officer in charge threatened one employee and accused the staff of hiding stone-throwing kids. Having found nothing in the premises, they left. On Sunday, 26 June, 2016, at atound 9:48 a.m, an Israeli army jeep stopped the vehicle of the Deputy Director of international Relations in the Palestine Football association, Husam Alhussein, ID# 410240519. Husam was heading from Nablus to the office in Al-Ram when he was detained near the Sarrah/Kadoumim junction checkpoint Near Nablus. 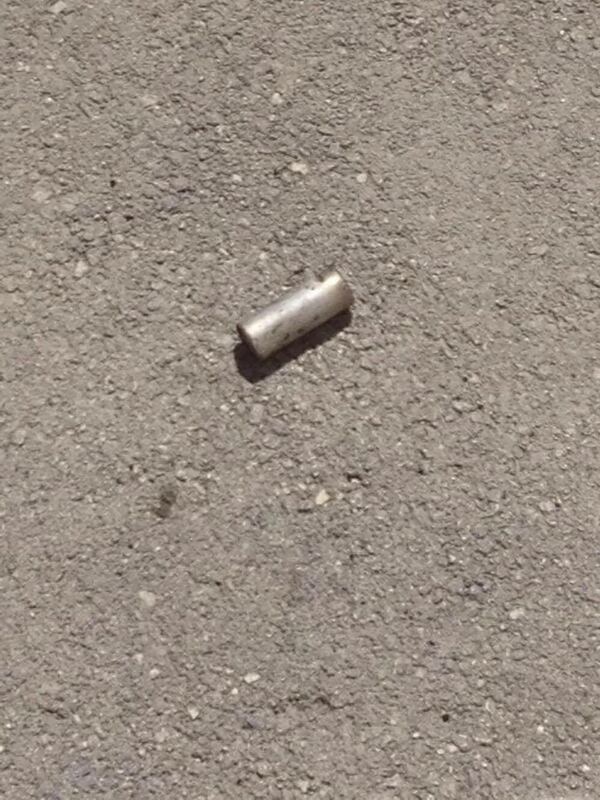 The soldiers thoroughly searched the car and Husam's phone and confiscated a stick he had in the vehicle. They then took him aside and placed him in a small concrete block enclosure in the nearby outpost for several hours, during which they traded humiliating posturing around him, including urinating in the spot where he was detained. He was released after a few hours. On Tuesday, the 16th of August 2016, Al-Fawwar FC’s player Mohammad Yousef Saber Abu Hashhash, 18 years old, was shot by an Israeli sniper during a house-to-house incursion of Al-Fawwar refugee camp. Abu Hashhash, who has been training for the season, was in his family house when the incursion started at 3h00 a.m. 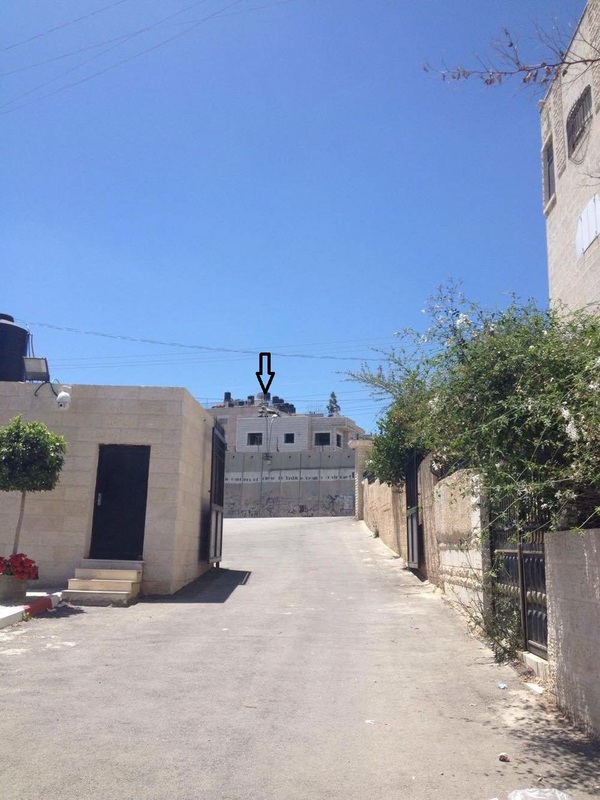 The Israeli army had forcefully seized a house across the street from the player’s house, which they used as a post, while locking up the residents in one of the rooms. By 14h30, the soldiers were still shooting live bullets and tear gas from their outpost, and Mohammad, concerned for the health of his elderly grandmother, went to her adjacent house to close the windows. He was heading back to his house, which stands wall to wall to his grandmother’s, when an Israeli sniper, positioned at one of the windows of the seized house, shot him in the back, from a short distance, killing him instantly. According to eye witnesses, Mohammad was targeted and killed without justification. He was shot in the vicinity of his house without any provocation. A fact supported by the report of the coroners in Al-Ahli hospital, who confirmed he was walking when the sniper’s bullet went through his back straight to his heart and killed him. 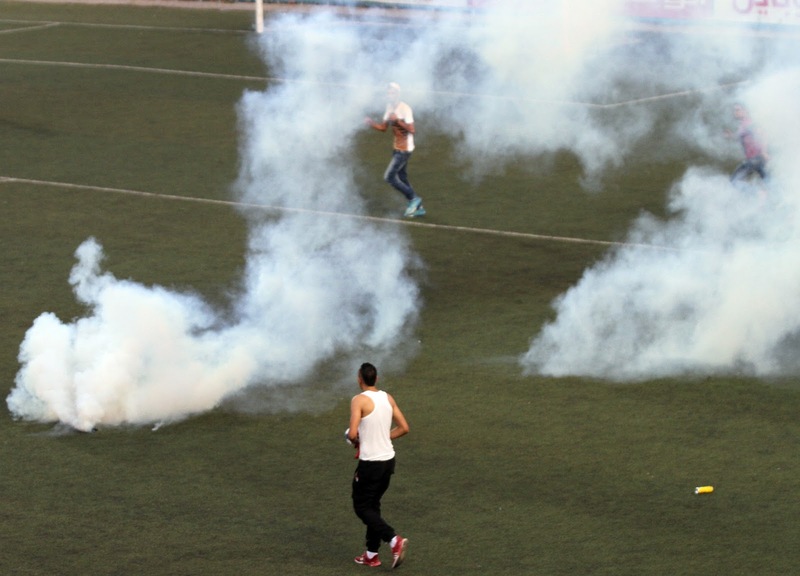 On Friday the 26th of August, at around 18:45, An Israeli army force broke into the vicinity of the PFA, just 10 minutes into the second half of the Abu Ammar Semi-Final match between Shabab Al Dahriya, and Markaz Balata, in Faisal Al-Hussein Stadium. 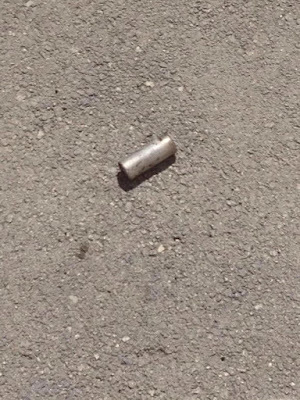 The soldiers, who claimed a stone was thrown at them, started shooting tear Gaz canisters unto the pitch and stands, which resulted in 5 cases of serious suffocation and 6 injuries with Sound bomb shrapnel, according to the Palestinian Red Crescent. The match had, of course, to be stopped, and the premises evacuated. According to eye witnesses, and the stadium security, there was no provocation of any kind that called for such a brutal episode. The videos and photos clearly attest to the fact that the Israeli army's provocative action was inexplicable, and uncalled for. On Saturday 27 August, 2016, between 12h00-13h00, an Israeli Army force, of about 20 soldiers, accompanied by assault dogs, broke into the Beita Football Club head quarters. 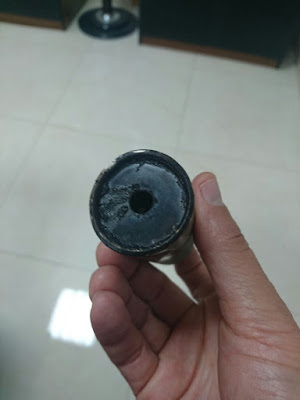 The force conducted a thorough search of all the rooms, took photos, and confiscated the DVR device used for the surveillance cameras of the building. 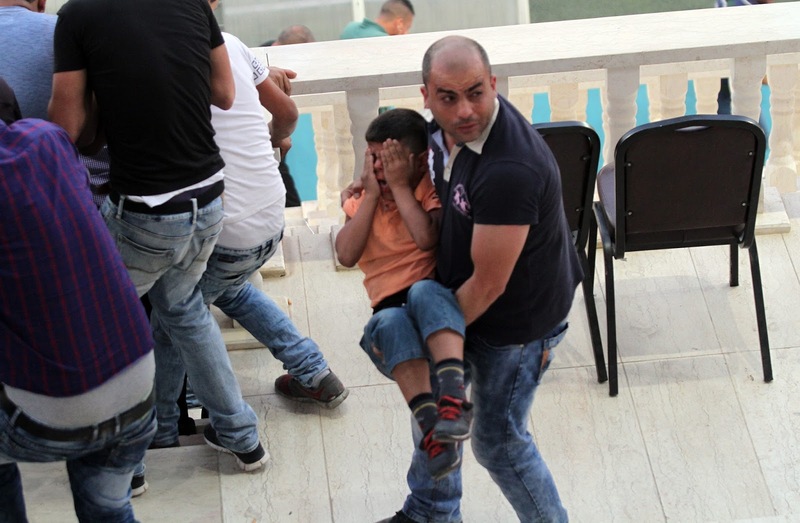 On Tuesday 30 August, 2016, an Israeli Police force physically assaulted 5 players from the Burj Al-Laqlaq foundation, as they were leaving the pitch of the foundation, located in Bab Hitta/East Jerusalem. The 5 players were in their sport outfits when they were assaulted. The names of these players are: Ahmad Halawani, Awni Sae'id, Mohammad Sae'ida, Ahmad Salaymah, and Ehab Tebiya. Halawani and Sae'ida were sent to the hospital after this assault, having sustained injuries that needed medical attention. 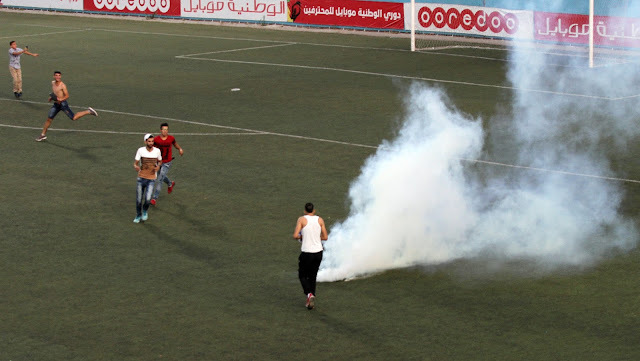 On Friday 23 September, 2016, around 13h30, an Israeli Armed Force broke into Shabab Al-Khalil Football Club, located in Bab Al-Zawyeh, in the city of Hebron. Eye witnesses reported that there had been clashes between Israeli Forces and Palestinian unarmed protesters in the vicinity. The club staff (about 30 persons) were busy with their football activities when some windows of the club were shattered by Israeli gunshots. 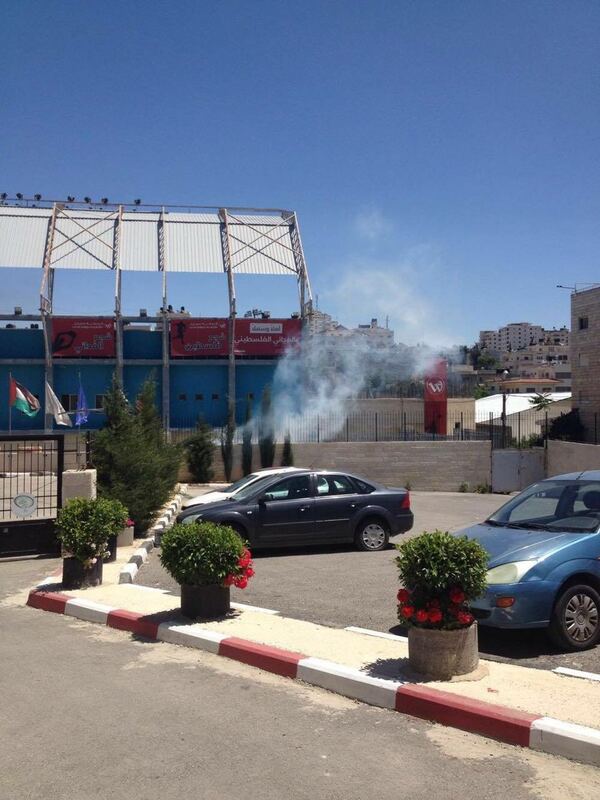 The Israeli Force then locked the entrance of the club and started shooting teargas canisters inside. 30 persons were trapped inside under heavy shooting of teargas, which resulted in several suffocations. Two persons, Alaa Amer, and Zuhair Abdelraouf Al-Jaabari were hospitalized for serious injuries at Al-Ahli Hospital. On Wednesday 28 September 2016, around 13h30, an Israeli Police Special Force seriously injured Jabal Al-Zaytoon Football Club player Mohammad Khweis. Mohammad was at the entrance of his club when a member of the force shot a sound bomb at his head without any provocation, according to eyewitnesses. Mohammad was taken to the ICU in Al-Maqasid hospital. 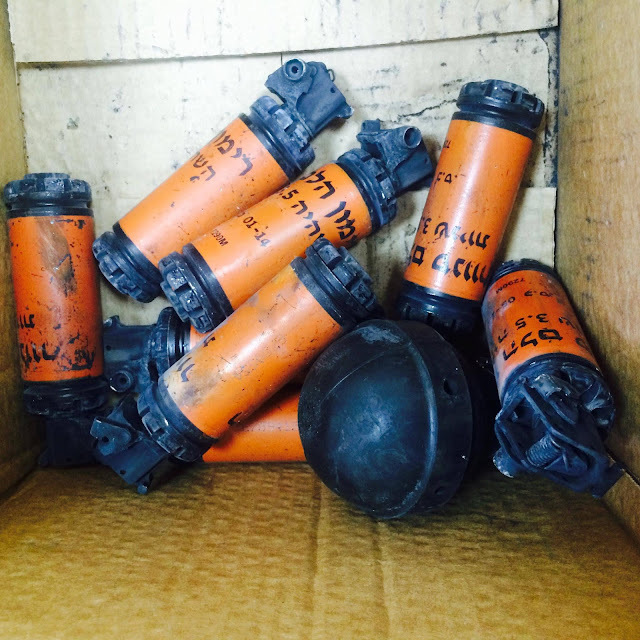 On Friday 18 November, 2016 Israeli Army Forces shot live bullets at unarmed protesters east of Al-Breij refugee camp, Gaza. Nadi Khadamat Al-Breij player, Mohammad Abu Saada, 26 years old, and holder of ID#802977652 was shot in the chest, and died immediately. Picture Window theme. Theme images by TrapdoorMedia. Powered by Blogger.